The entire world so as the Lake city Udaipur will celebrate New Year, 2019. Udaipur is my dream city. I belong to this pride city of Mewar and have special feelings for its past, present, and future. 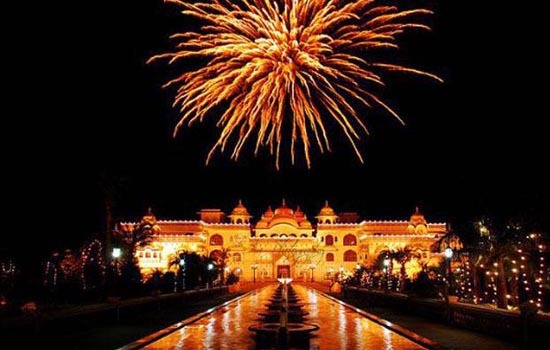 Udaipur is not only historic, tourist and beautiful city, it has also proven the best destination for celebrations. But it is said that everything costs so as the maintenance of this town. As a citizen of Udaipur, I have full concern for many aspects. The glory of the city should be maintained at every cost. Here, I am not talking only about infrastructural developments, but the duty of every citizen to safeguard interests of Udaipur. Yesterday entire city thronged Shilpgram to witness the annual National Art and Crafts Festival. In Monsoon and Festive occasion the rich Fateh Sagar fascinates everyone. Fateh Sagar has also been hosting various Music Festivals, Flower Shows and various events. But yesterday I saw Fateh Sagar in different plight. Fateh Sagar is drying very fast. The water is vanishing with high and alarming speed. The consequences of the scarcity of water will be faced by all of us in the coming months. There may be many reasons for such a situation. Heavy traffic, poor road conditions, multistory buildings emerging fast and lack of awareness towards the environment.The green jungle is replaced by the concrete jungle. The water level is going down drastically. What can be our objective for Healthy and Prosperous New Year is conservation (Not Kanjoosi) in all respect. Conservation of most precious sources “water” should become a habit. Cleanliness should be our way of life. Obeying Traffic rules should be in our nature.